Can you imagine an island within a lake that is situated on an island located in a lake on an island? Confused? 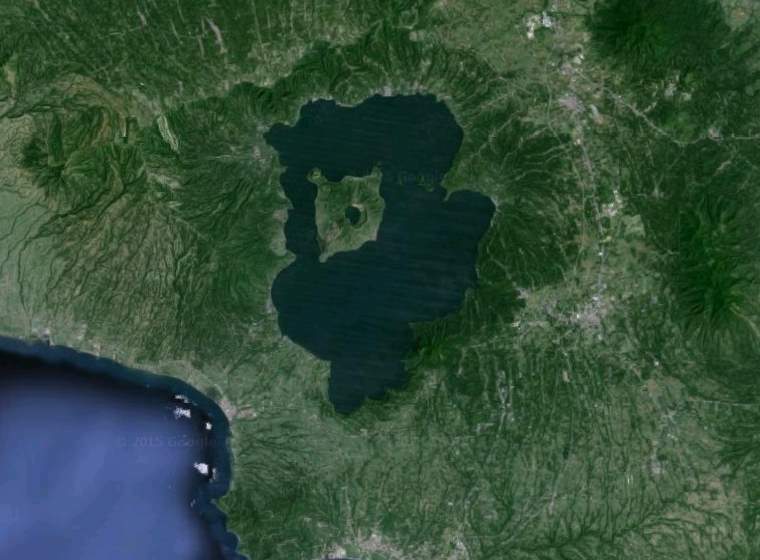 Well, it is really confusing, but this island does indeed exist: Vulcan Points is the world’s largest island within a lake (Crater Lake) that is situated on an island (Taal Volcano Island) located in a lake (Lake Taal) within an island (Luzon). Philippines from the space. The northernmost island is the Luzon island. Well, if you can’t, the image below would help: look inside of the tiny red rectangle. Philippines from the space. 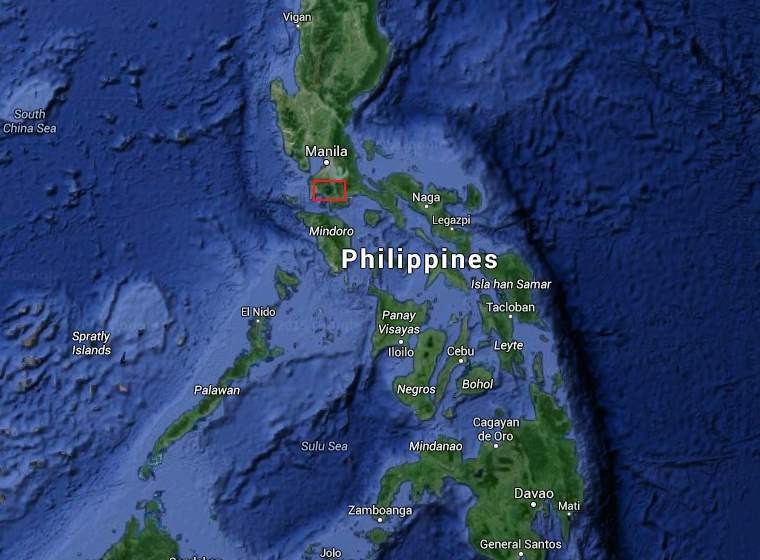 The northernmost island is the Luzon island. Taal Lake is marked by the red rectangle. Let’s take a look a bit closer. This lake (actually a crater lake) is Taal Lake. Taal Lake from the space. And closer… Now we can clearly see another lake (Crater Lake) on the volcano (Taal Volcano Island) inside the Taal Lake. Taal Lake from the space, a closer look. Now we can see the Taal Volcano. Let we continue. Surprise: There’s another island within the crater lake, like a Matryoshka doll. Now we can see the Vulcan Points inside the Crater Lake. It’s a large rock, now called Vulcan Points that projects from the surface of the crater lake was the remnant of the old crater floor that is now surrounded by the 2-kilometer (1.2 mi) wide lake, now referred to as the Main Crater Lake. Vulcan Point is world’s largest island within a lake (Crater Lake) that is situated on an island (Volcano Island, or Taal Island) located in a lake (Lake Taal) within an island. The Crater Lake and the Vulcan Points (Philippines). Taal Volcano is a complex volcano. A complex volcano, also called a compound volcano, is a volcano with more than one feature. They form because of changes in their eruptive characteristics or the location of multiple vents in an area. It is the second most active volcano in the Philippines with 33 historical eruptions. All of these eruptions are concentrated on Volcano Island, an island near the middle of Taal Lake. The lake partially fills Taal Caldera, which was formed by prehistoric eruptions between 140,000 and 5,380 BP. Viewed from Tagaytay Ridge, Taal Volcano, and Lake presents one of the most picturesque and attractive views in the Philippines. The volcano had several violent eruptions in the past causing loss of life on the island and the populated areas surrounding the lake, with the death toll estimated at around 5,000 to 6,000. Because of its proximity to populated areas and its eruptive history, the volcano was designated a Decade Volcano, worthy of close study to prevent future natural disasters.